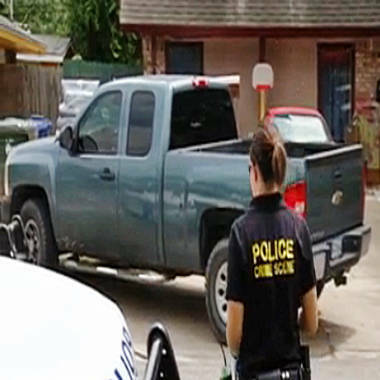 Investigators say that 1-year-old Noah Tamez was found dead inside his uncle's truck in Corpus Christi Texas last month. He was among seven children in four states to die in May after being left in hot cars. At least eight children -- mostly babies and toddlers younger than age 2 -- have died this spring after being left by caregivers or trapped in hot cars. Two children, a 2-month-old girl, Jade Downing, and her 20-month old brother, Jelani Downing, died in Henrico County, Va., after their 22-year-old mother, Brittney Downing, left them in a hot car for hours during her seven-hour shift working at a local motel, according to news reports. The boy died on May 26 and the girl died after being removed from life support May 30, officials said. A Henrico County Sheriff’s Office official confirmed the account. Downing was arrested and charged with felony child neglect. In that situation, even a mild day -- 70 degrees -- can quickly become deadly. Fennell has also worked with toy makers to come up with another plan: Large stuffed animals nicknamed “Lucky” and “Chance” that ride in car seats when babies aren’t there -- and act as a visual clue in the front seat when they are.